I read this article and found it very interesting, thought it might be something for you. 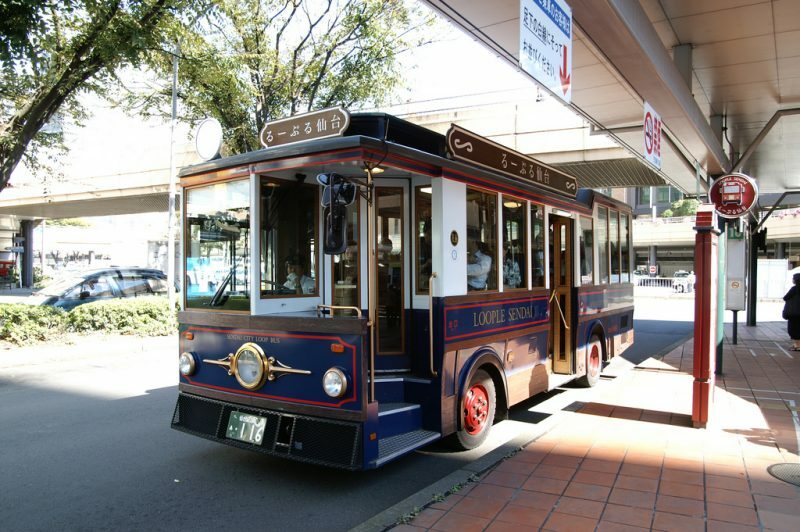 The article is called 30 Things To Do in Sendai and is located at http://trip-n-travel.com/listicle/17221/. 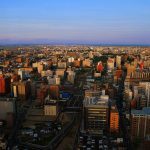 Because of the beautiful avenues lined with rows of wonderful zelkova trees, Sendai City is also known as “the city of trees”. This is one of the very fast growing cities in Japan and it is located close to the sea and mountains, too. That’s why it offers many interesting and exciting things to see and do. Read about some of them and you will see that it is really well worth the visit. This castle is also known as Aoba Castle since it is located on Aoba Mountain. It dates back to the Date Masamune, 1602, and it was used as a government building. The castle was destroyed in the 19th century, and today you can see the castle walls and a couple of original as well as some rebuilt buildings. It is a very picturesque place and you will enjoy the visit and the wonderful atmosphere of ancient times. This is a family temple from the 15th century and you may think it is just one more typical temple you get to see in Japan. But it has been recently restored and you can enjoy the beauty of the buildings in their original forms and exteriors. Apart from that, you will be amazed by the wonderful Japanese garden and a three-story pagoda on the temple’s grounds. You can enjoy walking along the lovely paths and marvel the beautiful trees and flowers, or just sit on a bench and relax. This is one of the recently restored shrines in Sendai and a typical representative of Masamune Date style and architecture. It is dedicated to the god of war and its main purpose was to protect the city. It is on the list of the national treasures. The main building of the Shrine has two halls joined under one roof painted in black lacquer and covered with golden leaves and brilliantly colored carvings. You can see the video showing how the restoration was extremely carefully done. 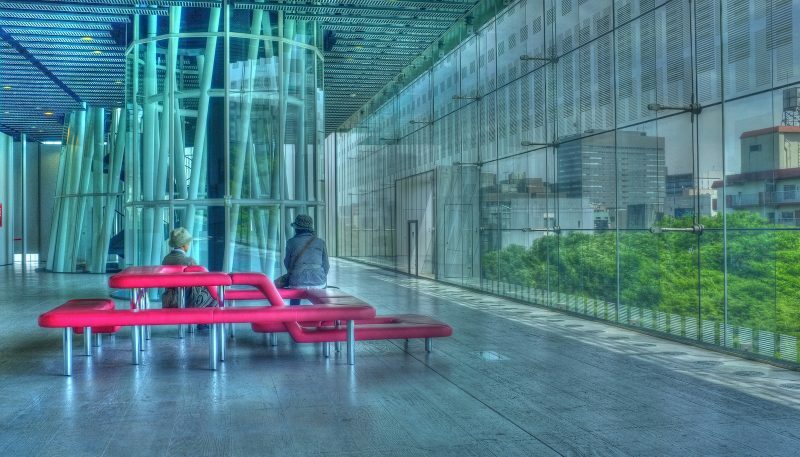 It might sound strange to say that a mediatheque is a favorite attraction anywhere, but this is the case with Sendai Mediatheque. The unique design of the building itself will leave you breathless. When you see it from the outside it looks like a simple glass box, but the moment you enter it, you will understand why it is so popular. 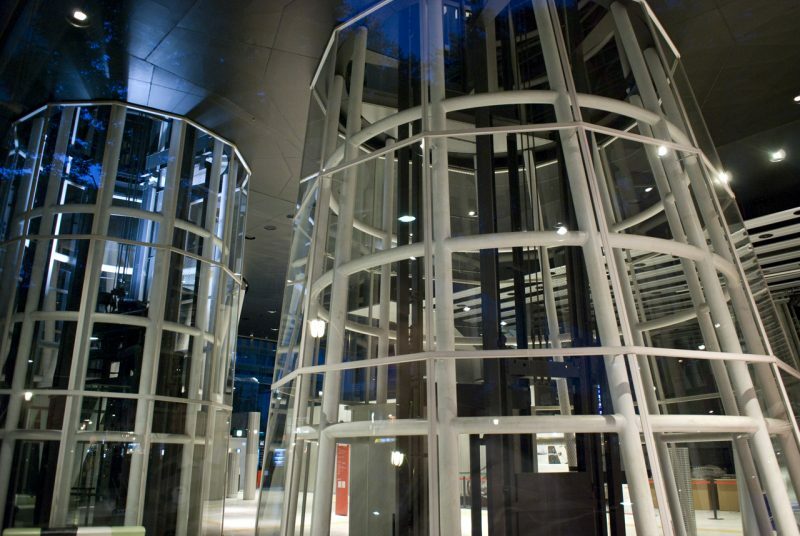 You will see enormous tubular columns going straight from the floor up to the ceiling and the roof. Inside the tubes there are elevators, staircases, light wells, ventilation ducts. After you catch your breath, you can enjoy some of the various media in the visual media center, gallery or library. 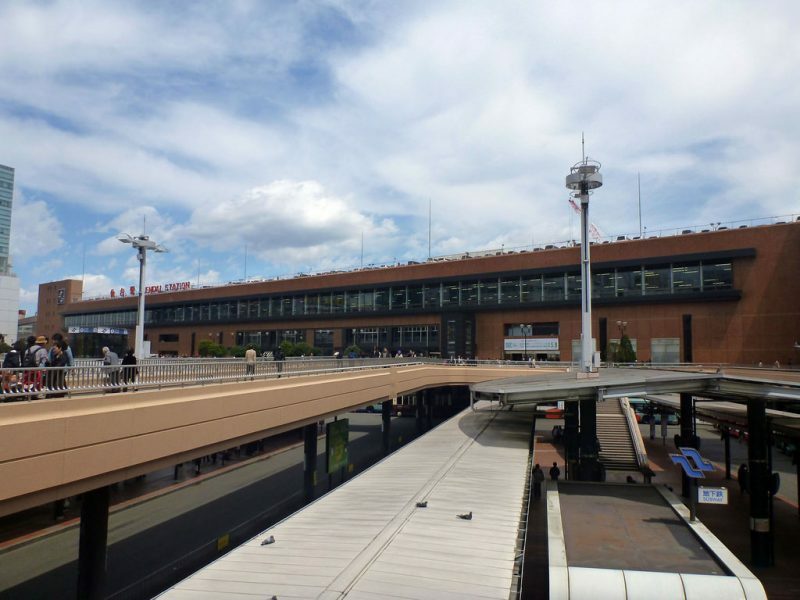 Sendai downtown is located in the western area of JR Sendai Station. The streets are really broad and lined with great trees, and there are lots of parks and public areas for you to enjoy the marvelous greenery of the city. Of course, this is also the place where you can enjoy shopping in many of the shops in arcade malls or try some interesting food and delicacies in a number of restaurants and cafes. 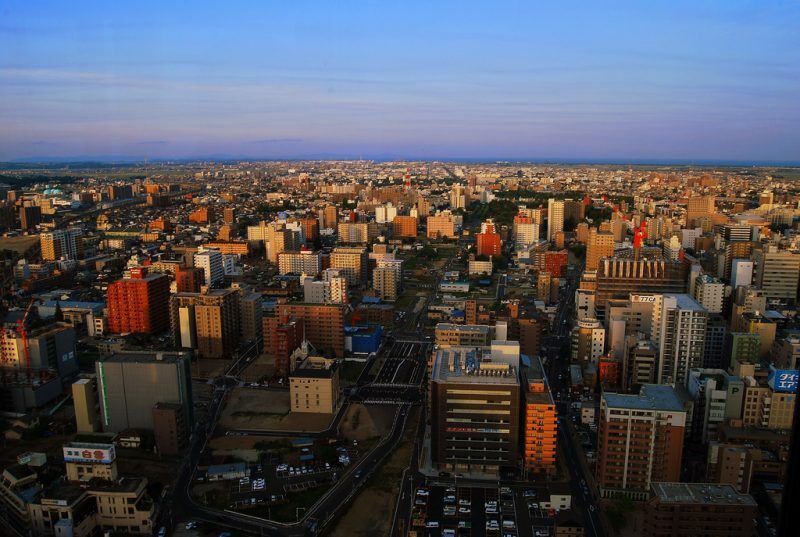 If you want to get the view of the whole city, go to the observation deck in Azur Sendai Building. Downtown Sendai there is this large shopping area covering several streets. 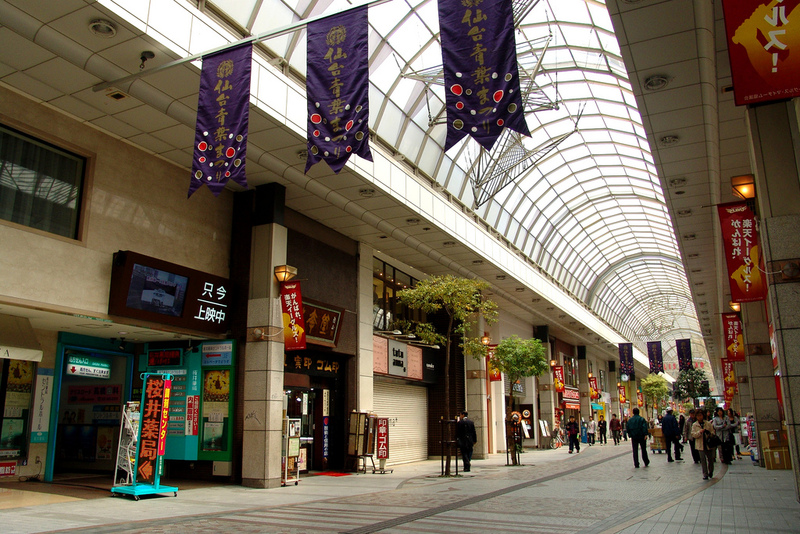 There are several malls with numerous shops all along the arcades and it’s a real paradise for those who love shopping. There is something for everyone there; from small budget shops, to those more expensive ones. If you get hungry, you can go to some of the many restaurants have some nice food, take a short rest and then go on looking through the stores. And not to forget, there are trees even in this covered shopping space! Asaichi market in Sendai is one more shopping option, but this time for those who like looking at the local seasonal products and, of course, fish. It is quite a small market on a very small street with several stalls, some of which even sell cooked food. If you are just a visitor it makes you feel sorry that you don’t have a kitchen there to prepare some of your own delicacies with the fresh ingredients from this market. All in all, you can have a pretty exciting walk along this small market and you can treat yourself with some seasonal flowers or plants sold there, too. 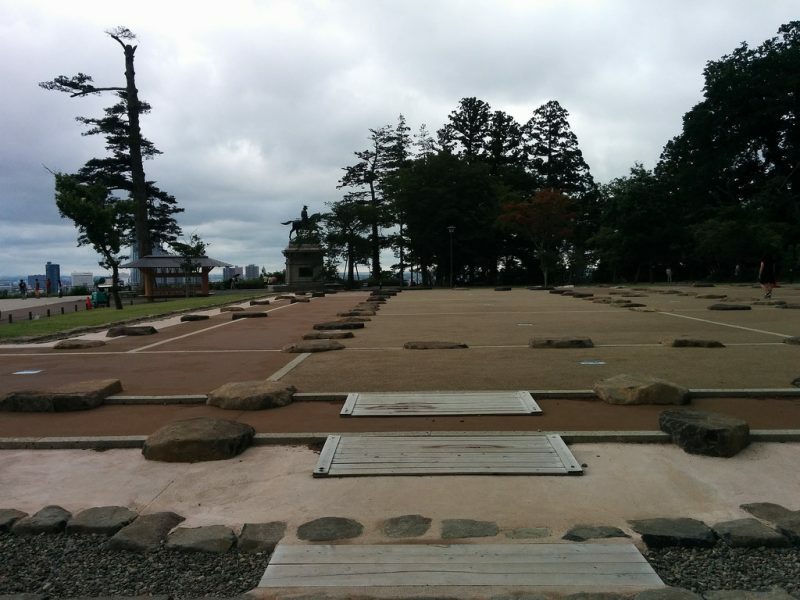 This is also one of the places which were built for the famous Masamune Date. As many other buildings, it was also destroyed in 1945, but it has gone through several reconstructions, so today you can enjoy its detailed and very attractive architecture. The mausoleum itself is remarkably large and makes you feel as if you are away from the city as you stroll around the wonderful trails lined with massive cedar trees. At the back of the mausoleum, there is a museum where you can see the Date family’s personal belongings such as beautiful Japanese lacquerware, armors and swords, even some of their bones and hair. This is a perfect spot to get a sense of local history. The museum is on the way to Aoba Castle, and makes a great stop before heading to it. The museum itself is not especially big, but it offers quite enough art and history and the grounds are really lovely and well maintained. The exhibits are well presented and very interesting, and the focus is on the history of Sendai and the Date family time. There is a small restaurant where you can relax before visiting the castle, and a nice gift shop, too. As we have already said, Sendai has numerous lovely streets lined with trees. And Jozenji-dori Avenue is one of the most beautiful, especially if you visit in December when the trees are decorated with amazing lights. Take an enjoyable stroll along this great avenue and simply take in the scene. Along the way, there are lots of restaurants and shops, as well as some nice sculptures. If you visit during spring or summer, this is where you can enjoy some of the various festivals and events. 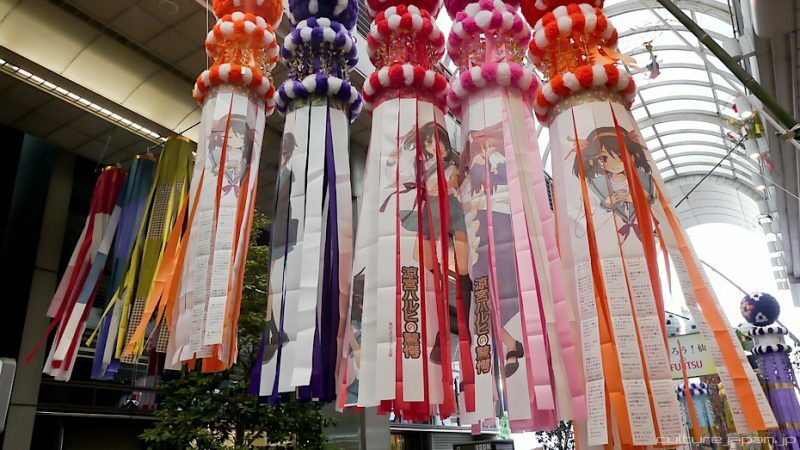 If you happen to visit Sendai in August, you must not miss the annual Tanabata celebration. It is among most famous celebrations in Japan, and the one in Sendai is the largest. It takes place all over the city center. The major features are 3-5 meters long and colorful streamers resembling brightly colored trees used to decorate the shopping arcades. Local schools, shops and communities use bamboo and washi paper to handmade these beautiful streamers every year. 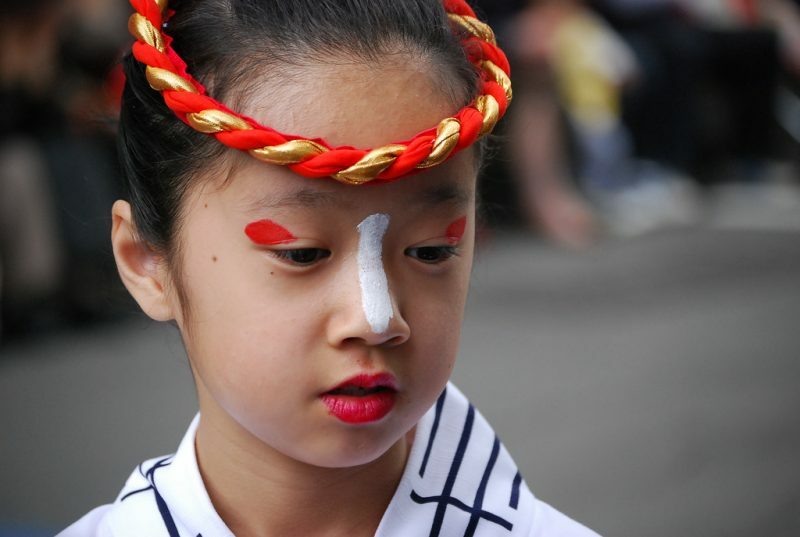 Various events such as live music, stage performances and traditional dance are also held during the festival. This is the oldest known festival in this region and it is held every year on January 14 at the Osaki Hachiman Shrine in Sendai. It is the time when people bring their New Year’s decorations and then, together with the past year prayer cards, burn them down in a large bonfire. It is believed that this brings them prosperity and health. The shrine is beautifully decorated at that time and nowadays, many people from different companies come to the festival wearing nothing but a piece of white cloth carrying a piece of paper with their wishes in the mouths. If you love animals, you will love this place, too. 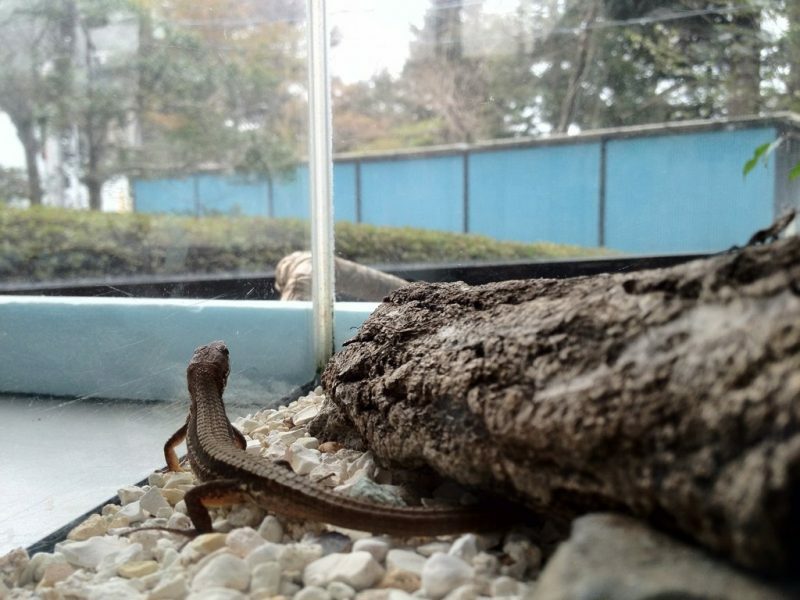 It has a lot of different species of animals and they took a great care to provide them with features similar to their natural habitats. There are animals from the various parts of the world and you can just enjoy watching them or even feed them and touch them. You can even see the trainings of African elephants. The Zoo is wonderfully located at the top of mountain Yagiyama and there is an interesting amusement park just across it. So when you decide to go there, you can have a day full of different activities. Enjoy! When you are in Sendai, you shouldn’t miss visiting Akiu Waterfalls. They are among the most beautiful Japanese waterfalls and are designated as Japan’s national scenic heritage site. There is a nice viewing area at the spot and you have to take a walk down some really steep steps to see the 55 m tall falls from the bottom. There is a small shop where you can buy some nice souvenirs for your family and friends. If you are visiting Sendai with your family, then this is one of the great places to visit with them. You will love every minute of your visit, even though sometimes it is a pretty crowded place. There are various interactive exhibits and shows quite impressive to watch especially those with seals and dolphins. The main attraction is a huge tank with a blue shark and lots of sardines. You will also be amazed to see their penguins in large enclosures. You will be able to take a look under the sea surface and see the oysters as well as a lot of famous local fish. On the ground floor, you can find a nice food court and a souvenir shop and just a short walk away there is an outlet mall, too. Spring in Sendai brings sakura, and they celebrate its beauty as it is done all over Japan. 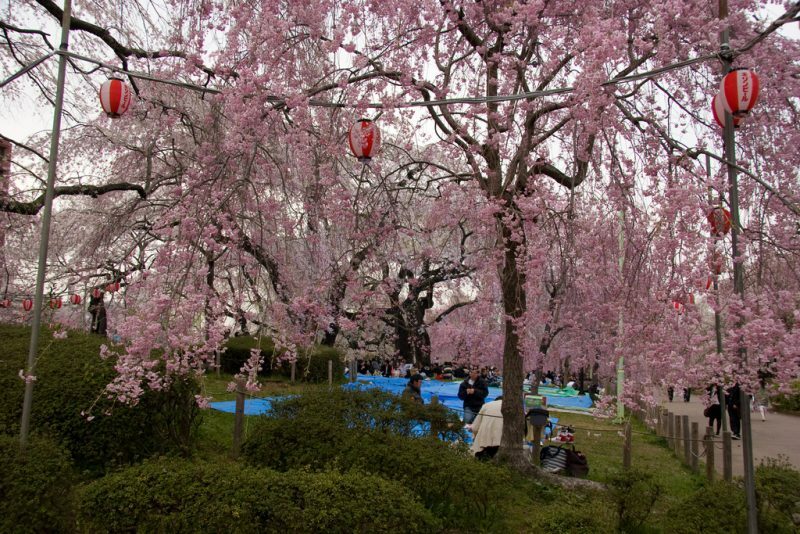 Aobayama Park is one of the most popular sakura viewing spots in Sendai. It is a perfectly peaceful place to just sit and relax and have some fantastic views of the nearby Sendai Castle and the city center. Everywhere you look, you see and feel the history and tradition and the scenery is simply stunning. If you like walking and spending some peaceful and calm time with your family or a date, this is the right place to visit. The park itself is quite big and offers some nice places for picnics. Bring your kids, some balls and picnic lunch boxes and you will certainly have a wonderful time. The park is wrapped in natural forests with lots of chirping birds in the trees and beautiful squirrels running between the trees. There are also many beautiful flower beds to give your eyes a rest. 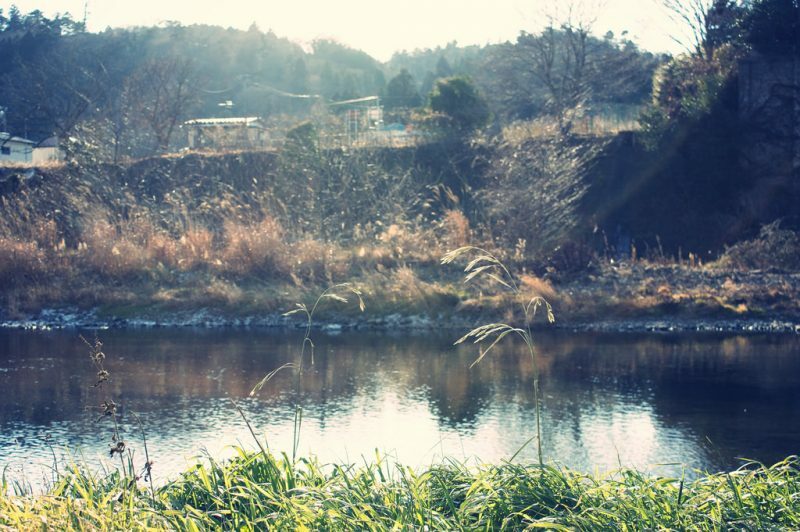 You will just love the Hirosegawa River if you visit Sendai. The river flows through the city, but it is still very clean, because the Japanese people take care about their natural environment. There is a beautiful walkway along the river, so you can relax and enjoy a walk with a view of the beautiful river and amazing greenery and mountains in its background. All along the river there are nice places to sit and have a refreshing drink, or you can choose to go to the nearby Sendai Museum or Aoba Castle. You will really have fun near this beautiful river. When in Sendai it is a good idea to see all its sights by Loople. If anything, it is pretty economic when you buy a one-day ticket and it is probably the easiest way to see everything. This small bus is quite busy, so many people have to stand during the ride, but it is an interesting experience. The bus stops at most of the important sites and the drivers are really helpful and friendly. Just a short walk from the station there is this paradise for kids. It is dedicated to all that is Anpanman, a cartoon hero. The first floor of the building is the mall with numerous stores selling different Anpanman character goods, such as clothes, toys, souvenirs. There are also some nice restaurants on the same floor. The museum part is on the second floor and there are some kid’s play areas, an art station where your kids can have some art classes and a theater where they can see Anpanman shows. There are different performances throughout the day and your kids will certainly have great fun. And if you get tired, there is a café providing some escape for adults. 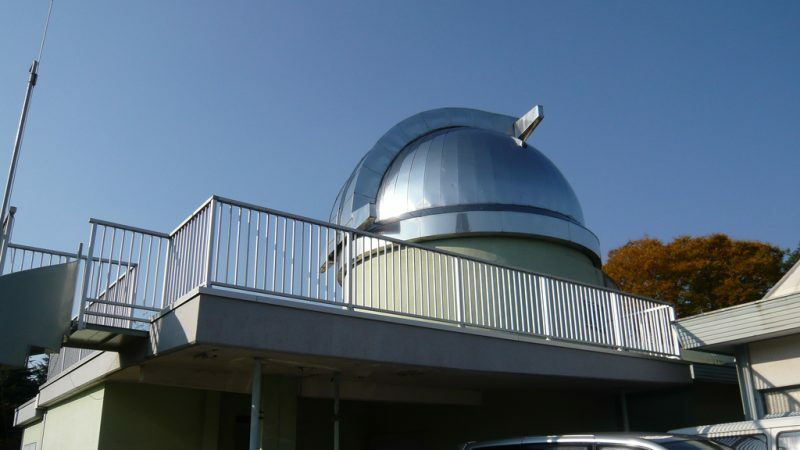 If you are a stargazer, Sendai City Astronomical Observatory is perfect for you. This is a really big planetarium, probably one of the largest you have ever seen, so if you want to do something really adventurous, go for it. When you enter the huge dome chamber and sit on a comfortable chair, the lights get dimmed and you hear some nice peaceful music. That’s when they show you the stars, the sun and moon, movements and various constellations. You can also hear some background information over a loudspeaker. After enjoying the planetarium, you can go to the exhibition hall there and see some of the nice stuff they display there. As one of the main cities in Tohogu region, Sendai hosts festivals in every season, and one of the the oldest and most popular is the Aoba Festival. It started more than three centuries ago, when the Toshogu shrine in the city was built. The festival takes place every year in May, so if you happen to be there on the third Saturday and Sunday, you will be able to see some of the history and tradition, and enjoy the magic made by the colorful characters. There are various competitions, performances and dances all around the city center. You will have an unforgettable experience. 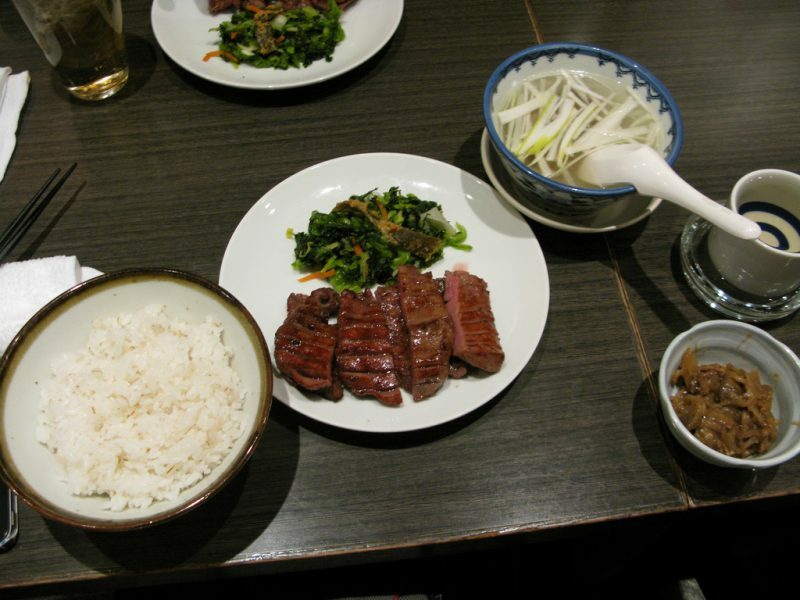 As all other cities in Japan, Sendai too has its original dishes they are proud of. You must definitely try their Gyutan, a dish made over a charcoal grill and pieces of sliced beef tongues are main ingredients. You can choose to have it served with some pickled vegetables or in beef stew, or with some steamed rice. There are many restaurants offering this specialty, but the two most known are Kisuke and Rikyu. Enjoy the new taste! The Natori River forms the beautiful 20 meters deep Rairai-Kyo Gorge just next to the Aikiu hot springs. It is a place of extraordinary beauty in all seasons and you simply must visit it. You will enjoy the lush greenery in the summer, wonderfully colored leaves in the fall, and the amazing picturesque waterfalls covered with snow in the winter. Just follow the trail along the gorge and enjoy the unusual and strange rocks and stones, waterfalls and river listening to the beautiful sound of the water falling down the rocks. The Natori River starts at the Bay of Sendai and flows into the Pacific. In the western area of Miyagi there is a great hot spring on the Natori River bank – Akiu-onsen. It is a must visit place when you go to Sendai. The Akiu area is mountainous and rich in forests and that makes this place extremely beautiful and exciting. If you like, you can stay in one of the very modern hotels there and enjoy this unforgettable beauty and all the benefits of the hot springs. After you have seen all the ancient, traditional and cultural places, you might want to see something more modern. Take a 30 minute bus ride to a Sendai suburb and have a look at the The Daikannon Statue. 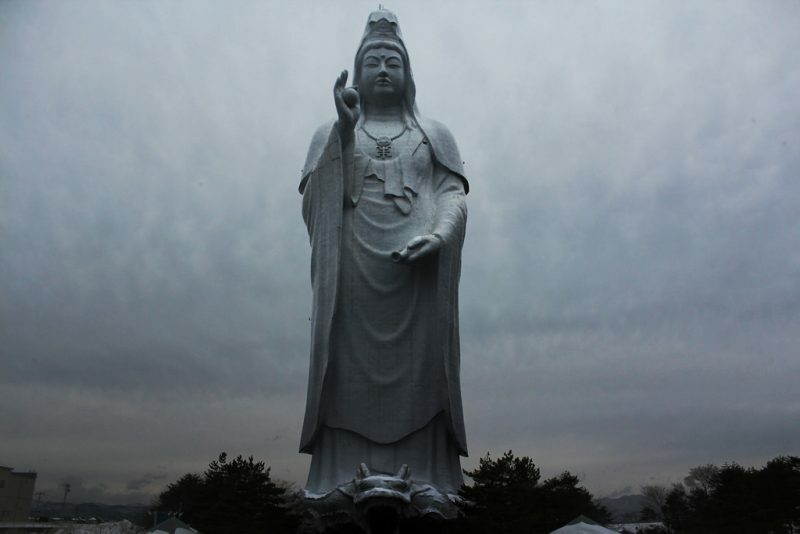 This giant statue is dedicated to the Goddess of Mercy and is among the top ten highest statues in the world. And believe us, it is really giant and it stands on a hill overlooking the whole city. Its entrance has the form of a dragon’s mouth and in one hand the statue holds a jewel which is said to grant wishes, and in the other, it holds a water flask which is said to pour wisdom. It is really an amazing site. If you love nightlife, then you should visit Kokubuncho. It is the entertainment area between Hirose-dori and Jozenji-dori Avenues in Sendai. There are almost 3000 bars, clubs, lounges and restaurants and it is not recommended to go there with your kids. 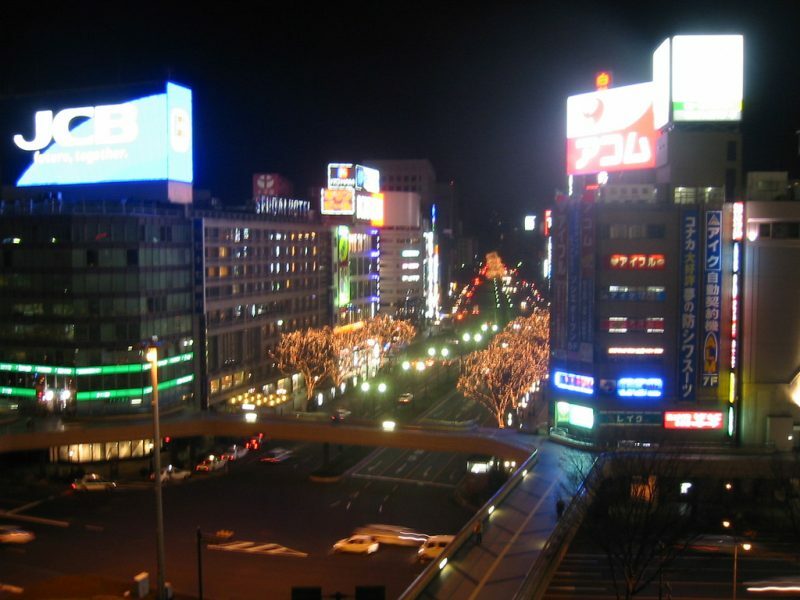 Kokubuncho is divided into three different areas – so called college area with cheaper restaurants and clubs; the area for the working people with a little bit nicer and pricier places; and the third area, or so called pink area with host and hostess clubs and even some strip clubs. Choose the one that best suits you. The moment you get to Sendai Station, you will feel how it is full of energy. Yes, it is a big transportation hub, and you might be a little bit confused there. But don’t worry it is pretty much user friendly. A lot of places in the station offer good information about directions. They are quite clear and written in both Japanese and English. You can get to different levels of the station taking escalators, staircases or elevators, and there are convenient elevated platforms and walkways serving as an access to the city. The station complex features a variety of shops, restaurants and places to buy nice gifts. 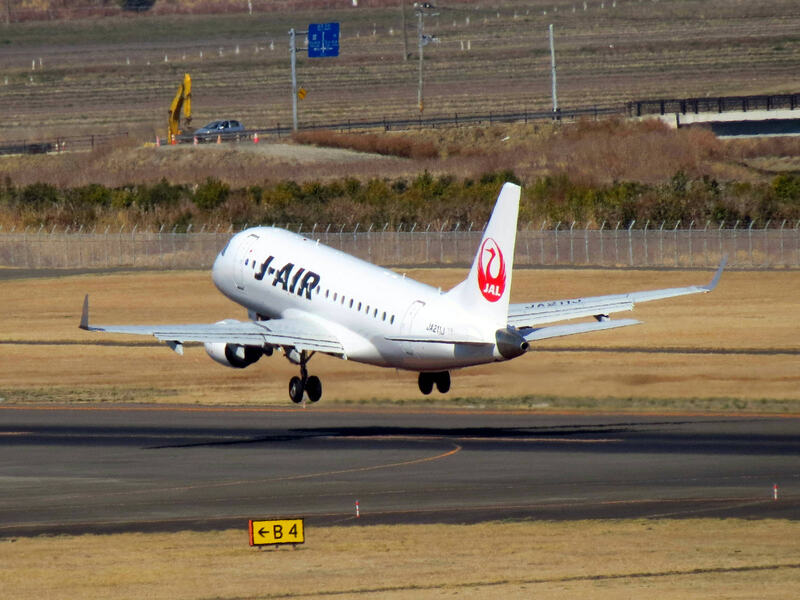 Three parks in Sendai have sakura, and Tsutsujigaoka Park may be convenient for you since it is located close to the station and you can take a short walk there. It is an amazing place at the time of sakura and you can spend hours just taking pictures of the amazing views. The park offers some nice places to relax, too and if you take your kids with you, they will just love the playground with the maze there. If you are a science lover, you must visit the Sendai Science Museum. It is a great place which is not only educational but also fun. It is close to the underground station which is really convenient and it has signs and brochures in English on all displays. Most of the visitors are delighted by its philosophy on so called ‘touch science’, meaning that learning is best when you experience science first hand. That’s why almost all displays in this wonderful museum are interactive: you can shoot a laser by pushing a button, try playing a harp with infra-red strings or experience an exciting ride in an earthquake simulator. You will enjoy every minute there. Opening Hours: 09.00 a.m. to 04.45 p.m.
As you can see, there is a lot to do and see in this interesting city in Japan. Next time you plan your holiday, it might be a good idea to visit Sendai.